Everyone knows the plight the Senators are in right now. And everyone knows the Maple Leafs are performing well for the first time in like 180 years. What the hell happened?! What kind of parallel universe is this?? What are our Southern Ontarian “friends” doing differently?? Well, Chad The Researcher just handed me a story that may alter the path of these two franchises, perhaps forever. Ok maybe just the next 6 months but still. According to this, Guy Boucher, the head coach of The Ottawa Senators, secretly met with Toronto Maple Leafs head coach Mike Babcock for lunch yesterday. What??? Why would they do that? Aren’t they mortal enemies?? Well, luckily, I had an insider that spied in on their conversation. 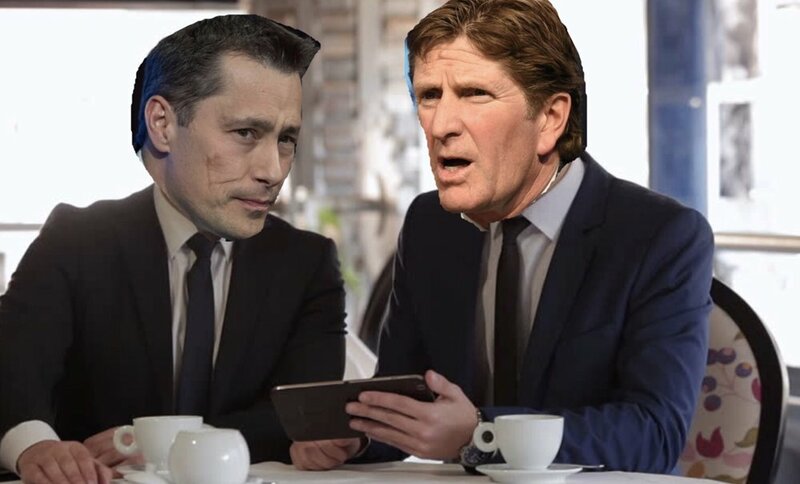 Guy Boucher was the first one to walk into the Denny’s Restaurant. He was wearing a fake mustache so as not to raise suspicion. About 5 hours later, a bald Mike Babcock entered and sat with his back to Boucher. “Talk about late,” mumbled Boucher. “It’s fine, it’s fine,” Boucher rolled his eyes. ”All right then, why did you call me here Guy? I told you we shouldn’t have contact in public. It’s too dangerous,” said Babcock. “I know that Mike. I know the consequences this meeting could have. But I need to talk to you. I wouldn’t do this if it wasn’t important,” said Boucher. “What do you think of this weather we’re having? Global Warming? More like Global Colding, amirite? ?” Laughed Boucher, nervously. Babcock looked down, gave a big sigh, and then returned to his table. “You know I shouldn’t help you Guy. You know what happened last time I helped you. You ended up in Switzerland for 3 years,” said Babcock. “GET ON WITH IT GUY!” Yelled Babcock, impatiently. “Okay, listen. This is hard for me to ask....but....I need to know.....your secret. Your secret formula for winning,” said a defeated Boucher. Babcock adjusted in his chair with a humbled look on his face. Finally, Boucher would listen to someone. “Calm Down Guy. I’ll help you. The answer is simple really. You need to listen to the needs of your team,” explained Babcock. “Listen? You mean they need to listen to me because I am the boss,” said Boucher. “Okay, I get it! I should play Gabriel Dumont on the first line with Tom Pyatt! They’re really nice guys, they let me borrow their PlayStation Switch and fed me candy,” said Boucher. “No....no, you’re not listening Guy. You have Thomas Chabot and Chlapik, two great players that should have more ice time. I guarantee you that if they played more, you’d have more success as a team,” said Babcock. Boucher’s eyes lit up. “Ahh okay, so like, I should play Burrows with Duchene to better Duchene’s offensive production. I get it,” said Boucher nodding. ”Oh my god, no. Okay. Let’s look at your defense. You’re playing Oduya way too much. He’s clearly lost a step and his ice time should reflect that. In fact, I’d be scratching him and playing Chabot and Jaros, two great defenceman more equipped for today’s NHL,” said Babcock. “But Johnny Oduya is my best player. Well like, other than Cody Ceci. I’m not sure I’m following you? Anyways, what do you do when you get behind in a game?” asked Boucher. “Well Guy, I adapt my system. Like, if I need a goal, I don’t play the trap, I tell my forwards to forecheck and be aggressive. Do you know what I mean?” asked Babcock. “Jesus, okay, when you only play the 1-3-1 System, even when you’re behind by goals, you’re not gonna have success. You need to change things up on the fly and allow your highly skilled players like world-class Erik Karlsson to play their offensive game,” said Babcock. “Ahhh I see what you mean. Okay, smart. I should play Gabriel Dumont and scratch or even better yet, trade Mike Hoffman! All he wants to do is score goals. Idiot!” said Boucher. “ok......are we done here?” asked Babcock. “Just one more thing, how do you get players to be accountable for their actions?” asked Boucher. “Well Guy, there are many things you can do. You can reduce their ice time, you can even call them out in front of everyone. If they made a mistake, they need to know they did, so that they don’t make that mistake again in the future,” said Babcock. “I see...Okay. Thanks Mike. I appreciate everything,” said Boucher as both men stood up. “No problem Guy. Now I need to get back to my up and coming Stanley Cup contender team. Good luck the rest of the way,” said Babcock. But when will the excuses stop? When will the Senators start taking accountability for this lost season? Well, unfortunately, things need to change. And that starts with enigmatic Mike Hoffman. 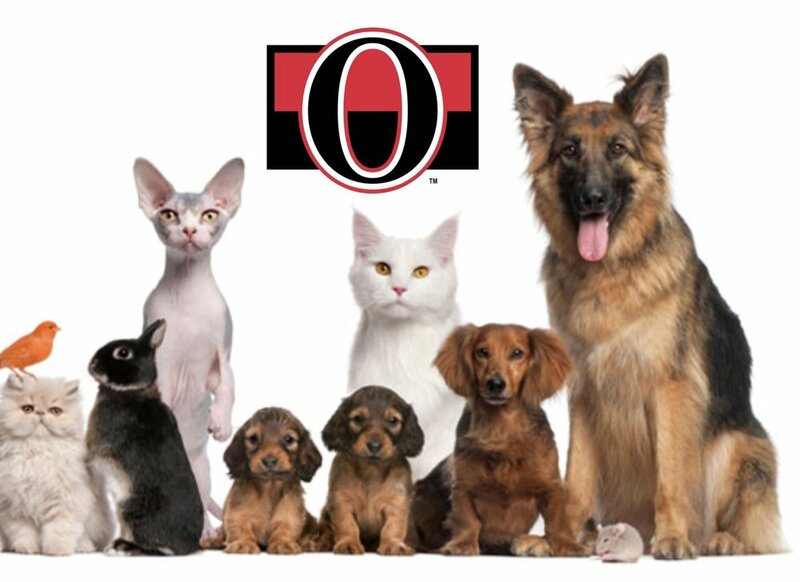 Mike Hoffman should be leading our team in goals, but instead, he’s leading our team in frowns per minute. You can tell the guy just ain’t happy. During commercial breaks, he’s off to the corner by himself while the rest of the team huddles together trying to find a way out of this mess. However, Mike Hoffman is our most skilled forward, and you need him on this team if they hope to get out of this slump. But bRian, we need him to win you said? Doesn’t trading him away mean the exact opposite? Well, yes and no, and maybe. 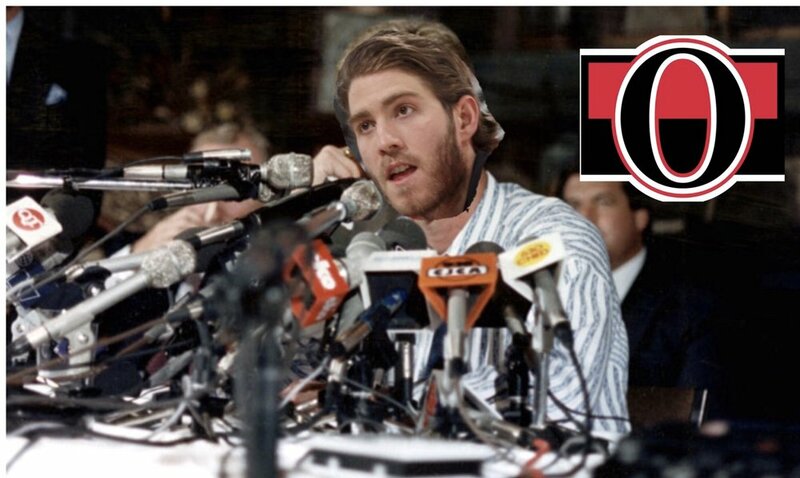 Hear me out here: you call Mike Hoffman at 2am in the morning and tell him that he’s been traded to Florida. Mike will hop out of his bed excited as anything, because Mike’s dream is to be on Miami Vice. Mike rushes over to the CTC to meet with Pierre and to collect his things. But when he arrives, Pierre tells him he’s just kidding, he’s actually been traded to Calgary to play for his old buddy Dave Cameron. Yes, Mike Hoffman will take a swing at Pierre and yes, he may knock Pierre out cold. But this action will get the most energy and emotion out of Mike than anyone has ever seen. When Pierre comes to, he’ll say, “Mike, welcome to your first day being an Ottawa Senator.” Hoffman will pull Pierre up and they will embrace and cry. The Rocky 2 music will start playing in the background as clips of Mike Hoffman lighting it up for the Ottawa Senators start playing, thus turning this team around into a Stanley Cup contender. Dorion: Hello Matt, please take a seat. I hear you have something to ask me and Eugene. I’m not sure why this couldn’t wait till the morning? It’s 4am!! Duchene: I couldn’t sleep. You see, I have this uneasy feeling that all of this is happening because of me. Your record was decent before I came here. I just need reassurance that it’s not my fault, you know? Matt Duchene walked out devastated. Instead of heading to practice, Matt decided to go on a spiritual journey. A spiritual journey to find himself. To find the meaning of life. He headed to the most sacred location in Ottawa: Mount Pakenham. Matt immediately jumped to his feet and began running up towards the peak. But the voice he heard was not of the divine elk. It was something much more sinister. It was Erik Condra on a megaphone. Before Matt Duchene could come to the realization that God did not speak to him, he was hit by the boulder. That is how the year has gone so far. And what’s next? Is Eugene gonna call out Mother Theresa? But bRian? How will the Senators get out of this funk? Good question Nancy! It starts at one simple place: Guy Boucher and The System. It doesn’t work. Simple as that. It is clearly broken and it can’t be fixed. And what do you do with something that is broken? You try to sell it to some idiot who still thinks it works. You see, The System was designed for cats and dogs. The cats would try to steal the dogs dinners. So the dogs would place one dog up front, and then 3 dogs in the middle with one dog staying back. That way, no cats can get through to the delicious kibble and bits. But guess what? Cats are tricky and nimble. And they can climb things. And they found a way around the dogs. And they GET that Kibbles and Bits. What am I trying to say here? Good question Nancy! I am trying to say that the dogs need to attack the cats before the cats even think of stealing the Kibbles and the Bits. And when they do that, they SCORE SOME GODDAMN GOALS. YOU NEED TO PLAY OFFENSE TO WIN AT HOCKEY YOU GUYS. OTTAWA HAS THE ABILITY TO PLAY THIS WAY. WE HAVE SKILL, WE HAVE SPEED. WASN’T GUY BOUCHER BROUGHT IN TO MAKE THE SENATORS HARDER TO PLAY AGAINST?? OKAY, IF THAT’S THE CASE, THEN IT’S A FAILURE BEYOND COMPREHENSION. IT’S TIME TO GO GUY. IT DIDN’T WORK IN TAMPA, IT DOESN’T WORK IN OTTAWA, AND IT SURE AS FACK WON’T WORK IN TOLEDO. If Guy Boucher were to get fired, who would coach the team?? Well I don’t know, I’m just a citizen of Ottawa, Canada. But I do know that whatever is happening right now isn’t right. I don’t deserve this. Sens fans don’t deserve this. Not even Gary deserves this. Actually Gary deserves NOTHING. Ryan Dzingel has been sick of feeling like the young guy in the room. In his eyes, he is a savvy veteran that brings leadership qualities to the team. Yet, Boucher still treats him like a kid. The moment he heard Chabot had been recalled , he decided to show everyone that he isn’t a lowly rookie anymore. He had money now, and he decided he was gonna take Thomas out for a night in the big City. He was gonna show him the respect and power an NHL player holds. After enjoying a 5-course meal, Dzingel asks for the bill. When it arrived, he took a look at the amount and started sweating. $24,455.89..... “HOLY FUCKKKK.....that’s it? This is nothing. POCKET CHANGE” yelled Ryan. “Hahaha are you serious? On your AHL paycheck? Check this out”, said Dzingel as he pulls out a Gold AMEX card, with Travel Rewards. By that time, security approached the table and put Dzingel in a headlock. Thomas Chabot stood up and tried to run but the waiter did a jump kick and Thomas flew through the window, glass just shattered everywhere. People started screaming as chaos ensued. The security guards dragged Ryan Dzingel out back and tied him to a chair. A man slowly walked out of the shadows. “Hello Ryan” said the voice. It was.....ERIK CONDRA?!?! Condra snapped his fingers and the Boyz brought in a bloody Thomas Chabot. Suddenly, a bolt of Lightning crashes through the skylight and JJ Clarke The Weatherman comes down on top of Condra, knocking him unconscious.